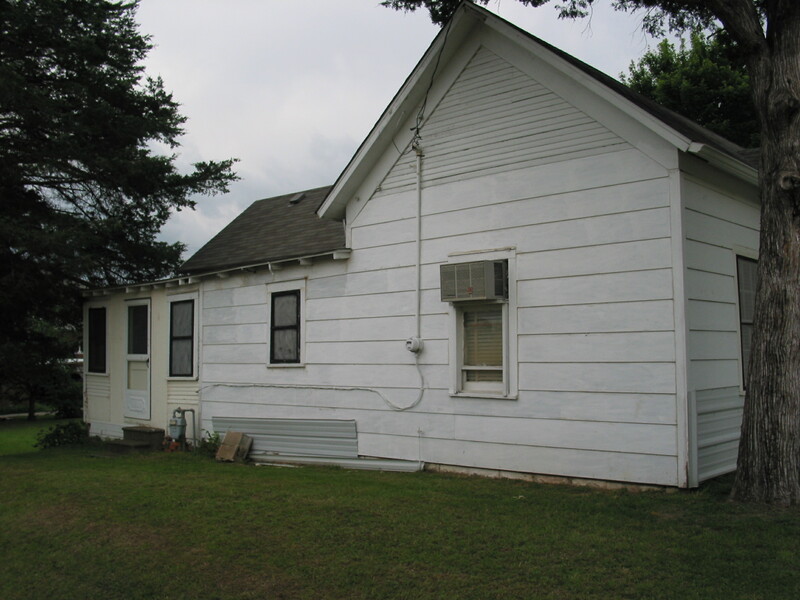 American Legion Post #142 in Hominy was organized in 1920, following World War I. The post was originally named after Pvt. Andrew Blackwell, the first known Osage County resident killed in action during WWI. A generation later, 2nd Lt. Clyde M. Frazier’s name was added. 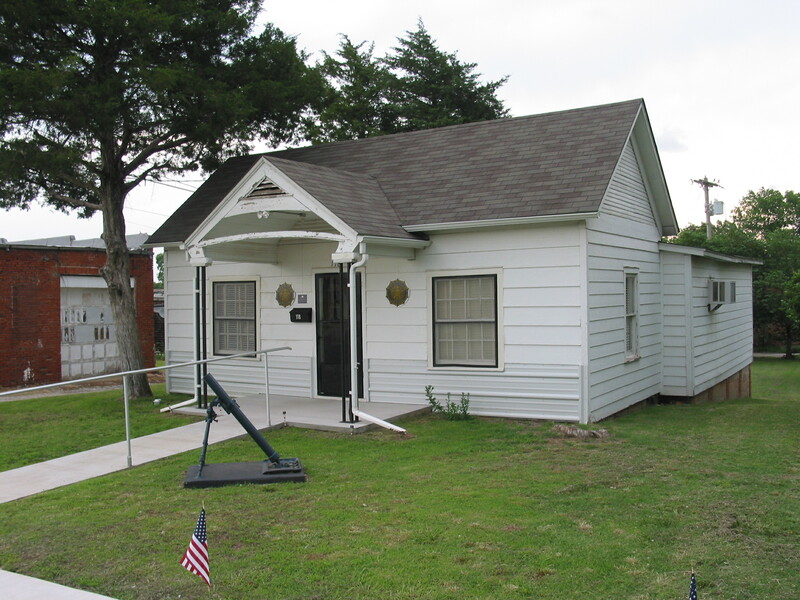 He was the first known Hominy resident killed in action during WWII. To this day, our name is Blackwell – Frazier American Legion Post 142. In addition, the American Legion AUXILIARY Unit No. 142 was formally organized on May 15, 1928; although records suggest that auxiliary activity occurred before this date. Post #142 meetings were originally held upstairs over the Dupy Furniture Store located at 124 West Main Street, in Hominy. 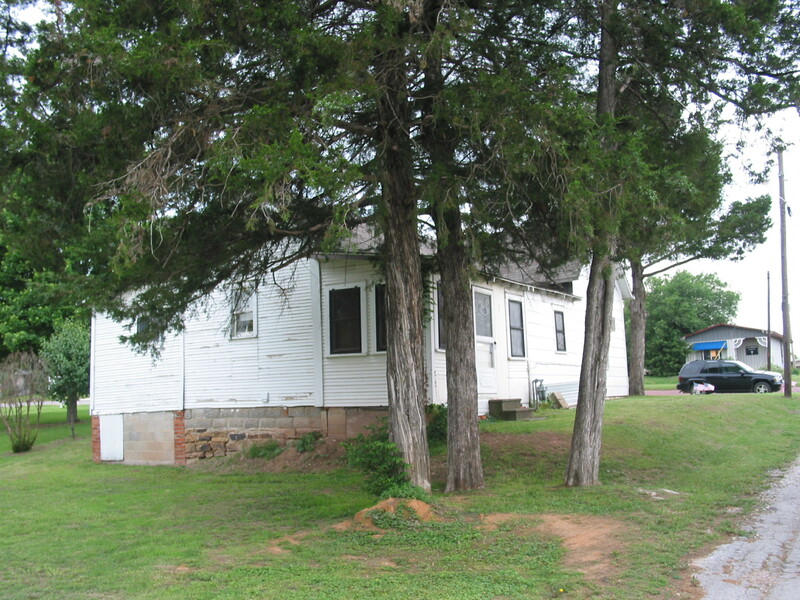 However, in 1937, Past-Post Commander and Osage County Commissioner Joe Taylor saw an opportunity to purchase the Battery and Tire Shop at 118 South Wood. The building had been originally owned by local resident Joe Stebbins, but ultimately, it was purchased for some back taxes owed. In short order, World War I veterans started money raising projects to refurbish the old building, which only had a dirt floor. Two of the favorite fund raising activities at the time; were playing cards every Saturday night, and the famous pancake breakfasts, which served hundreds of people at a time. Before long, this quaint little gathering place, became fondly known by its local nickname, the ‘American Legion Hut’. The nickname stuck, and the ‘Hut’ remains the current location for the American Legion and American Legion Auxiliary meetings. Through the years, many veterans from all wars have participated in keeping the ‘Hut’ updated, and the post active. Air conditioners have replaced opened windows during the summertime. The old original heater has been replaced by modern efficient heaters. And, perhaps the computer and monitor (which allows us to network internationally) look out of place. But, we are always respectful of our past. On the west wall, you will find the pictures of Past Post Commanders, as well as our community’s current military soldiers. And, our antique piano still sits where it was placed back in the 1930’s. Back then, music was an important component of our gatherings. One of the original music books still remains on the piano; where it has entertained members for decades. The much loved building remains home for the local American Legion and American Legion Auxiliary. With assistance from Polly Frazier. 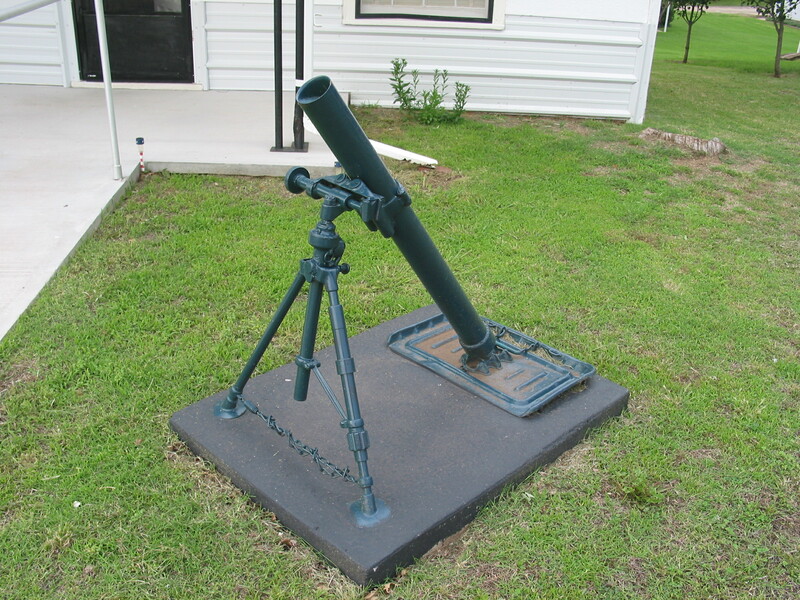 a mortar at peace, a memorial at the “Hut”; Post #142.